The Husky 8-Piece SAE Folding Tamper Proof Torx Set is constructed of alloy steel for strength and long-lasting performance. The set has a comfortable over molded ergonomic grip. The folding hex keys are contained within the handle for better organization. 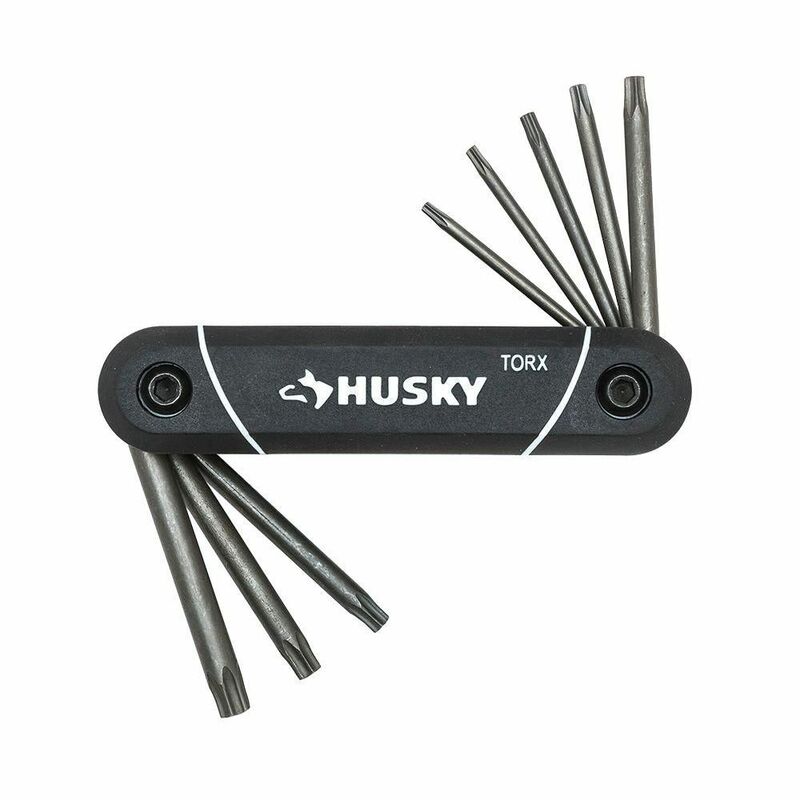 HEX SET FOLDING TP TORX 8-Piece The Husky 8-Piece SAE Folding Tamper Proof Torx Set is constructed of alloy steel for strength and long-lasting performance. The set has a comfortable over molded ergonomic grip. The folding hex keys are contained within the handle for better organization.